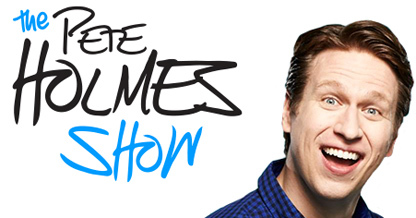 The Pete Holmes Show is a brand new late night TV show hosted by Massachusetts-born comedian Pete Holmes that will feature sketches (check out his Ex-Men: Gambit video), interviews (with great guests such as Rory Scovel, Deepak Chopra, and Rob Corddry) and more. It airs right after Conan on weeknights and is set to premiere on October 28th, 2013 at midnight on TBS. Tickets to tapings of the show in Burbank, California are available now.